Keyn’s sculpted back supports you from the moment you sit down. Sit back, and it gently reclines, opening up your body as you change position. The Keyn four-leg’s elegant design, and fresh, bright colours make it ideal for casual meeting spaces, cafes, in your home office or round your kitchen table. The Keyn four-leg Chair is a practical addition to any casual space. Designed with comfort in mind, Keyn’s sculpted back supports you from the moment you sit down. 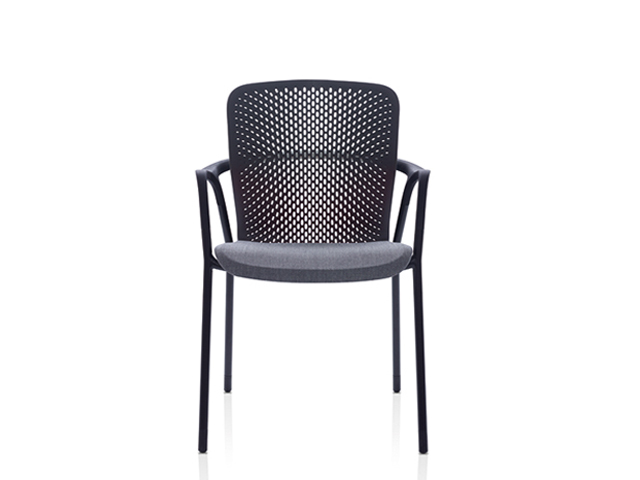 The highly patterned back ensures you remain cool and comfortable, no matter how long you are seated for. For extra comfort, Keyn responds to your every move, gently reclining as you adjust your posture. 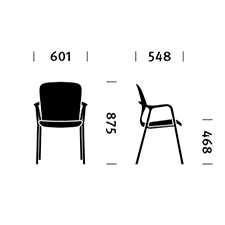 The Keyn four-leg chair is stackable to four high.